Chartered surveyors Sanderson Weatherall say a deal for manufacturers Ebac to expand into a second factory on Aycliffe Business Park highlights growing positivity in the region’s commercial property area. Newton Aycliffe in particular is thriving, with the town’s business park as popular as ever. Jonathan Simpson is a partner at Sanderson Weatherall’s Stockton-based office, which represented the site’s previous occupier, Radius Systems, in a transaction revealed two weeks ago. Simpson said: “Demand is definitely outstripping supply, particularly for high quality sites, which is great for the area and an indication of real positivity in the economy. “This deal for Ebac represents a real turning point in the industrial market. “Since we commenced marketing at the back end of 2011, initial interest was primarily from property speculators looking to carve up the site in order to re-let or sell on. Ebac has agreed a deal to lease the 16 acre former Radius Systems manufacturing facility, from which it will operate its new freezer manufacturing line. The deal follows Radius’s closure of its Newton Aycliffe site in 2011 in order to consolidate its UK operation. 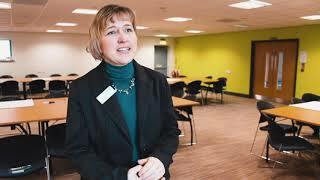 Ebac first moved to Aycliffe in 2010 and employs around 200 people, with that number likely to double in the next year. Simpson said: “In the last 12 months, we have done deals to fill up to 200,000 sq ft of space, and we have other sites under offer. “Additionally, the advent of Hitachi coming to Newton Aycliffe is only going to strengthen the area.